Sunday June 18th 2017 was Father's Day; in 62 countries around the world. The idea originated in the USA and has been officially celebrated there on the third Sunday in June since 1966. This photo is of my daughter and her Daddy. I 'caught' them having a beautiful moment together and I wanted to capture it. I wanted to remember it for the rest of my years here on this physcial earth and to be able to share it with her when she is older. This photo warms my heart and represents perfectly for me what my priorities are and my why! We (definitely I) can take so much for granted; both positive and negative. I can get so carried away by 'life' that these small moments in time can sometimes slip by and not even get acknowledged; let alone captured for future sharing, remembering and reminiscing. Life happens and continues around me without anyway of me being able to slow it down, stop it or even change it sometimes. My ego kicks in ocassionally too (just ocassionally?!) when I can dwell on 'my stuff' and in my own head; fears I have, worries about life and the future and being more focused on self rather than what I can offer to this world and those around me or even on what is happening around me. I get sucked into the treadmill of life. Pulled into 'device land'; online distractions; Politics; media hype and other real-life drama and issues. Eating a meal whilst interacting with a device rather than those we are sitting with! Even walking whilst not paying attention to things around me. Or the fact that my life is so busy that I go into autopilot and 'doing' mode. Sound familiar? I can become obsessed and controlling and really off-balance is things aren't going as I think they 'should' be. Generally, I lose moments or don't even have enough time to stop and acknowledge them. All 'normal' stuff in this game of life and journey we are on (well at least the things that are happening around us), but what's important is to not get completely sucked into it that we lose focus on 'now'. That we can't even give it time as our heads or lives are too full that we emotionally have no capacity or just simply miss it. We don't actually then know really what is happening now around us or are in the present moment; rather we are in the next thing that will be occuring or preparing and planning for tomorrow, next month; years to come. I'm not saying we don't need to 'plan'; of course we do, but we also really need to be present and aware of now. For us, but also those around us. I am very conscious of it, but not always quick enough to stop it. I get carried away in the distraction that takes me away. Perhaps even experiencing withdrawals or a sense of unease if I'm not 'in it and on it'! Perhaps some food for thought as we go about our day. 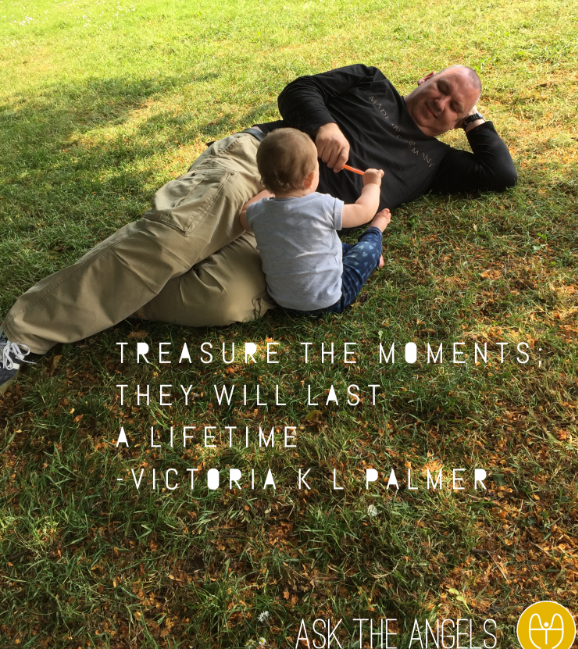 We are here for such a short time and the memories we have will last not only our lifetime, but those we impact and influence. I am a Spiritual Coach; specialising in Angel Card Readings, Reiki Healing, Angel Therapy, Meditation and Assertiveness. I am passionate about supporting people on their journeys here on this physical earth through a holistic approach. So if you are feeling stuck, frustrated, out of sorts or just in need of some guidance then get in touch! Welcome to the Winter Solstice! Grounding: Why it's important and Tips on how to do it!